At six minutes and 14 seconds past midnight on January 1, 2013 I took this photo. I didn’t know this at the time, but my phone did, on which I captured the image. At the same moment a person in front raised their hand also to take a photo so that it appears they are balancing an explosion on their fist. Here we all are, leaning forward toward the new year, counting down the solidity of year with the stuff of split-seconds. We have so much information at our fingertips without trying, down to the unconscious moment of tapping for a photo… and yet faced with a new year we know nothing at all, not even today, not even tomorrow. And at the same time, sensing Someone eternal, walking alongside. Bastille Day seemed to us Australians something like a mix between Anzac Day and Australia Day with fewer barbecues and more tanks and fighter planes. There were lots of crowds moving quietly to watch parades, flyovers and fireworks and just as many watching the passing crowds from the forward-facing chairs of cafes. 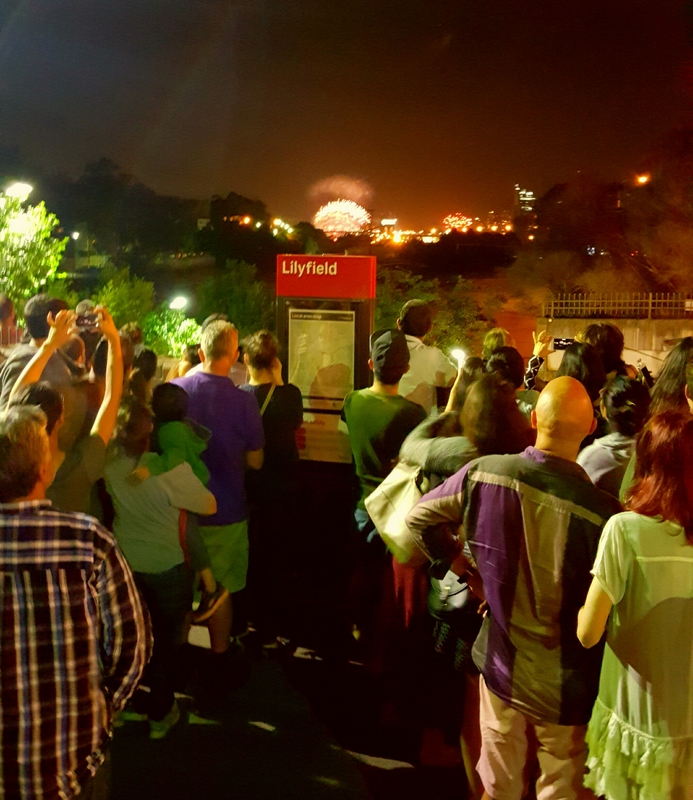 As we arrived at the fireworks, a short walk from where we are staying, it was somewhat like Sydney’s New Year’s Eve fireworks only the iron of the bridge had morphed into a giant tower.